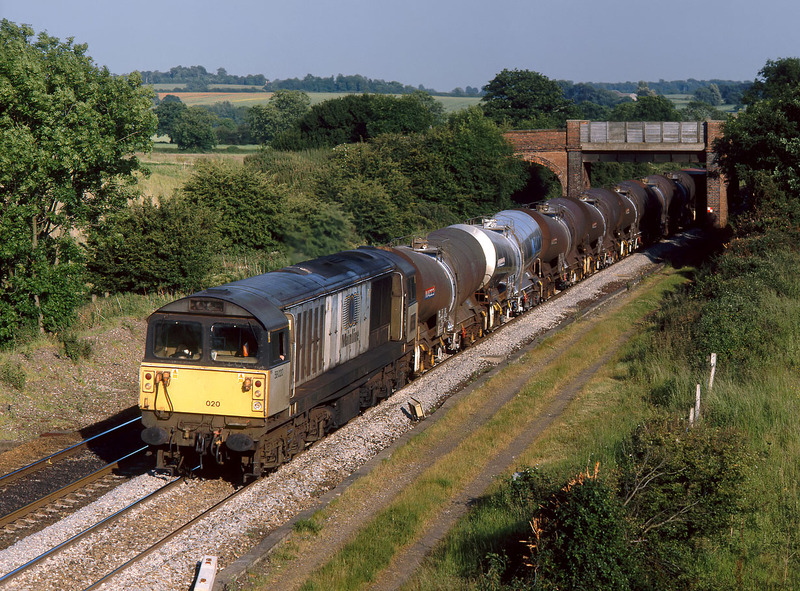 58020 Doncaster Works passes Overthorpe (near Banbury) on 16 June 1999 with the 6S65 15:19 Eastleigh to Mossend Enterprise service. Unusual to see one of the 'Silver Bullet' china clay tanks actually still looking silver by this date. Although quite difficult to get to, someone has obviously visited the location and removed the bush in the foreground, and no, it wasn't me!